Mindfulness Meditation is about the practice of focusing on your breath or your senses and developing the habit of bring your attention back to this focus (which brings you back to the present) when your mind wanders (minds are not great at staying in one place very long!). This is practiced from a perspective of not judging how you are doing and cultivating an openness to what unfolds. For something seemingly so simple, yet actually quite challenging, Mindfulness Meditation has many benefits; the mind can calm - you don't have to always be carried where your thoughts take you and you will realise that perhaps you don't have to believe everything you think! Research has also shown that mindfulness meditation can help with a wide range of stress related health symptoms from anxiety to depression and insomnia. How can Mindfulness Meditation be relevant to my life? With such busy lives in this frantic world Mindfulness Meditation offers you the time to just be: A pause in the day to find peace, feel calmer and allow your body and mind to be more at ease. Mindfulness Meditation is a great skill to help cope not only with everyday anxieties and worries but with gaining clarity and perspective on what’s happening in your life: It can help you become more aware of how your mind operates – the patterns and habits of your thinking and the landscape of your emotions. Well- being, mental health, self- growth and development can all spring from this place. What people have said; "It was exactly what I needed and wanted. I couldn't be happier with my overall experience and satisfaction of the course". 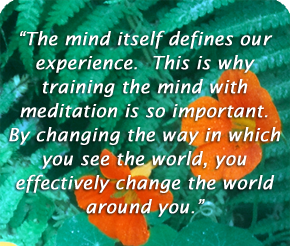 "Thank you Evelyn for an excellent course and introduction to mindfulness as a way of life". "It (the course) has given me hope that I could learn to manage my anxiety myself..."
" Evelyn has a wonderful way of explaining things...". "I gained so much from doing it and I would highly recommend it". When we are feeling stressed, anxious and worried we can learn to make our breath work for us to help calm things down. There are many very simple breathing techniques which can be very useful. Here are 4 guided audio instructions for a variety of breathing techniques. Try them for yourself, perhaps find out which you prefer – pick one or two and see if you can practice these so that you can use them when needed.